How will side roads be impacted by new I-66 tolls inside the Beltway? With Interstate 66 inside the Capital Beltway tolls starting Dec. 4, here are some answers to questions about upcoming rules and impacts to side roads. WASHINGTON — Tolls for solo drivers and expanded rush-hour periods begin Monday, Dec. 4 on Interstate 66 inside the Capital Beltway. Beyond the basic new rules of the road and specific questions about toll prices and how drivers will pay, WTOP listeners submitted a series of questions about driving on the fringes of the new rules, plus concerns about people trying to avoid the tolls by using other roads. What happens if I enter the lanes a few minutes before the tolling and HOV rules begin? Will I still be charged? “It’s not ‘if I get in here before the time, I’m good’, you need to get out of the lanes before the time in order to not be subject to the rules,” Virginia Department of Transportation Commissioner Charlie Kilpatrick said. Drivers who enter the lanes within the 30 minutes before tolls begin should see estimated prices that will be charged for any time they are in the lanes when the rules apply. “It’s not about when you get into the lanes — it’s if you are in the lanes,” Kilpatrick said, which is the same way HOV rules are applied on I-395. I was driving alone on I-66 outside of the old rush hour times before, but my commute is now inside the expanded hours. What are my options? For drivers caught in the additional hours, the options to avoid a toll are to start a carpool, shift commuting hours, or take transit. “We are expanding the hours from 2.5 to 4 hours; that is a result of a lot of our studies. We showed that is the way to move the most people through this corridor. I suspect Route 50 and 29 and other roads work pretty well at those times, and folks will have the option to ride some of the new bus service or use some of the new park and ride lots,” Deputy Transportation Secretary Nick Donohue said. I use the 495 Express Lanes to reach I-66 or I-66 to reach the 495 Express Lanes at rush hour, but only have one other person in the car. When do I switch the E-ZPass Flex from HOV mode to regular mode to ensure I do not get a ticket on either road? The 495 and 95 Express Lanes require three or more people total in the car for a free ride and, until 2022, I-66 HOV requirements inside the Beltway will only require two. State officials suggest the time to switch the transponder to or from HOV mode would be on the on-ramp connecting the two roads so that the transponder is read properly by the final toll gantry on the road drivers are exiting and the fist toll gantry on the road drivers are entering. For safety reasons, the state suggests having a passenger make the switch. Won’t people just use side roads instead of paying the toll, especially if it spikes to something like $20 or more? What about backups on other roads that people trying to avoid the toll may use instead? “We’re also going to be monitoring the adjacent roadway systems — U.S. 29, Route 7, Route 50 and some of the connecting roads that run through this corridor — because trying to maximize the person-throughput in the corridor is not just I-66; it’s those adjacent roadways, too,” Kilpatrick said. In addition to tolling teams watching for any changes needed to the algorithm, Kilpatrick said VDOT and Arlington County plan to adjust traffic signal timing on the parallel roads as needed. “We’ve also partnered with Virginia State Police regarding HOV enforcement, as well as quick response to incidents,” he said. Previous VDOT studies suggested those alternate routes would see more traffic slowdowns when tolls begin. “This is the nation’s first all-lane peak-period tolling facility, so we’re going to be monitoring this facility; we’re going to be taking a look for unintended consequences,” Donohue said. “We’ll have staff monitoring — believe me, I’m going to be one of them — just looking over the system the entire time, and making sure that the dynamic pricing and everything is responding the way we expect it to respond,” Caudill said. Will the tolls be enforced on holidays like Veterans Day? No, the tolls will not be charged and an E-ZPass will not be required on days where HOV restrictions are usually lifted, which includes federal holidays, the Virginia Department of Transportation said. (This is different from the 95 and 495 Express Lanes where the rules apply 24/7). I plan on visiting my brother in Arlington, but I live out of state, will out of town visitors need an E-ZPass too? Yes, any drivers other than motorcycles using the road during the restricted hours will need an E-ZPass and all vehicles will be subject to the same rules. Will the system collect a flat rate toll like the Dulles Greenway, or charge based on the distance traveled? Like other HOV or toll lanes in the region, drivers are charged a toll based on the distance traveled. When entering the lanes, signs will indicate the current price of a short trip, middle-length trip and the longest trip. Trips in between will be priced between those points. Is the road being widened? Yes, but separate from the toll revenue. 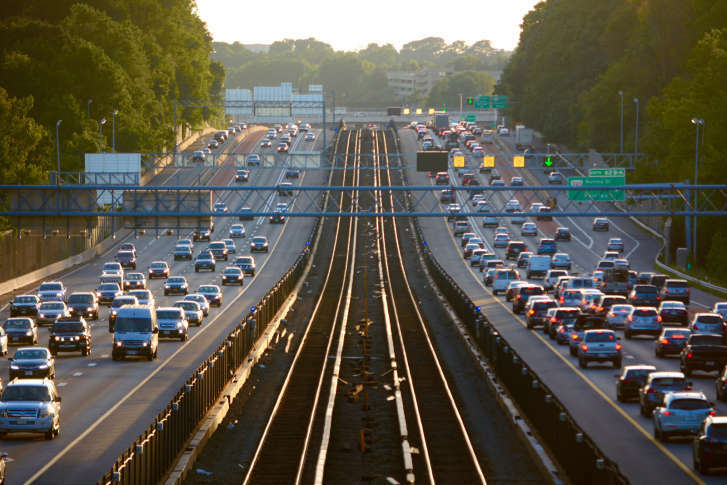 As part of the political agreements surrounding the tolling, I-66 eastbound from the Dulles Connector Road to Fairfax Drive will be expanded to three through lanes. VDOT Commissioner Kilpatrick said that construction will begin in the spring to open by fall 2020. In addition to the widening and ramp improvements, the project will upgrade sound walls and add a new pedestrian bridge to separate the W& OD trail from vehicle traffic at Route 29. Drivers will also see a new direct connection from I-66 eastbound into the West Falls Church Metro. This is operated by VDOT, unlike the toll lanes on 95, 495 and the future lanes on I-66 outside the Beltway, which are operated and maintained by private companies. What about I-66 outside the Beltway? Separately, the private Express Mobility Partners just broke ground on I-66 toll lanes between the Beltway and Gainesville that are due to open in 2022. During contract talks, the state said the tolling system inside the Beltway was key to raising the amount of money the private group expected to make on the deal. Trucks will be allowed in the toll lanes outside the Beltway. The rules in those lanes will apply 24/7.